Preemie moms are a special breed, born out of the most primal instinct to protect their babies. They face some of the biggest challenges of their lives head on with the strength many never even knew they had. 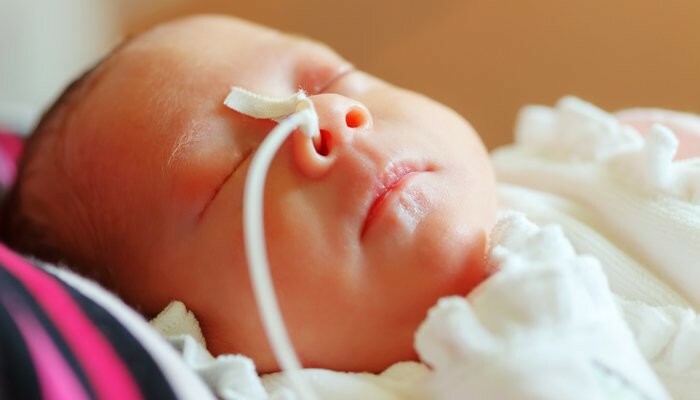 We asked preemie moms in the mom.life community about their stories in the NICU, and they told us 16 amazing tips of survival, bravery and the unwavering love you have for your child that only a mother could understand. We survived by immediately making a game plan. We wanted consistency which is hard to come by in the nicu. I would try to get up at the same time, eat my oatmeal, pump, change a diaper if need be, skin to skin if I could, take a nap, wake up drink water, eat oatmeal etc. the docs we're in every hour poking at him so we did our best to put our ducks in a row (paperwork, pumping, showering, etc) behind the scenes while they we're analyzing him and then focus on his needs (diapering, snuggling, feedings) when they we're done. My son was born at 36 weeks but stopped breathing at birth so he spent 26 days in the nicu. There's lots of advice I could give but looking back as hard as it was and stressful it won't be forever the nurses and doctor are the best place for your baby to be if born with problems ….I loved the skin to skin contact and to take advantage of the support system no mom could understand what ur going through like another nicu mom even though I could keep going for now. I gave my birth at 34 weeks after going in at 32 weeks. The biggest thing is to realize it IS NOT your fault. None of it. You couldn't have stopped it and nothing you did made it happen. Be therefore your baby and realize there are mommies just like you who want to hug you and tell you we support you and want you to know we are behind you 100%. I had an emergency c section June 10th due to being in labor and Baby A being breach. They are preemie but didn't have a NICU stay. But my younger twin had to fight to stay out of NICU. She wasn't eating or pooping right plus her body would not stay warm. Just having preemie baby/babies is stressful. But don't let it Bring you down keep your head up and fight with and for your baby! My girls are 2 1/2 weeks and home with me but still having complications but my God is the healer!! Praying for all you mommies. If I could give any advice to a mother and father it would be to get involved with your child's care plan. Know what is going on in detail with your child's doctor. It's normal to feel pretty helpless and like you are just sitting on the sidelines, but if you are a part of their recovery, you will feel like you are actually doing something to help. My SO and I did so much research and talked with our doctor about Phillips treatment in depth and we actually were able to change certain things that weren't quite the conventional way of doing things. But the doctors and nurses were on board and everything turned out perfectly. We really felt a part of Phillips recovery and like good parents, when originally we had felt so hopeless and helpless. Go with your gut instincts! If something feels wrong, say something. Don't be afraid to stand up for your child! My little one was born just 1-2 days shy of 38 weeks. he was born via emergency c-section. and spent over a week in the NIC unit due to breathing in meconium while in distress. After they discharged me, I was at the hospital everyday because my stress couldn't allow me to be away from him for too long. the nurses in the NIC unit were very helpful but i felt as if i wasn't his mother. I wasn't allowed to do anything for the first couple days after he was born and it killed me. but being able to be up there everyday and having the nurses tell me his improvements every day when they saw me helped a whole lot. after the first two or three days i was finally allowed to breastfeed him and do what I wanted. but the nurses helped me so much. My baby boy was born at 36 weeks and 2 days, I'm a ftm and went into labor naturally. At 36 weeks it was 50/50 on whether he would be just fine or need some time in the NICU. He ended up having underdeveloped lungs, and also struggled with eating on his own, but otherwise was a perfect healthy 6lb 13oz baby boy. The best advice we got was, don't feel guilty if you need to take a break. We felt like we would be bad parents if we weren't there for every touch time, which is the only time you're allowed to touch the baby so he/she doesn't get overstimulated at other times. Touch time involves diaper changes, checking temp, and feeding, along with whatever else the nurses need to do. So basically, we would be there every 3 hours so we could touch him, go home so I could pump, and then turn around and go back. It was much more exhausting than having a newborn at home where you can rest between feedings. One nurse talked us into staying home for one touch time in the middle of the day so I could take a nap, since I was up every 3 hours at night to pump, and it seriously made a huge difference for like the next 3 days, I felt so rested! Don't feel guilty if you need to take a break, your baby is so well taken care of in the meantime. Are you a preemie mom? Get the support you need now in the mom.life community. Chat, share advice and vent with moms like you. With having my second son in the Nicu for respiratory distress and needing a short Nicu stay and my twin boys born three years ago who lived a short time here on earth who left to heaven I can tell you it's not easy. Everyday is different and especially depending on your situation you may have a long or short Nicu stay but it is still scary. Just expect the worst pray for the best and pray a lot. Ask God to give the doctors wisdom and to guide the nurses hands. Pump as much breastmilk as you. Can because it's the best for baby. Stay strong. Having a baby in the NICU was probably one of the hardest things ever but also an experience of life I learned so much not only about caring for my baby but about myself I cried every single day and I just wanted my baby it's normal to feel that way I didn't want to sleep or eat but I tell you that you MUST TRY because this hard thing you have to do is also a tremendous help with your healing process ? good luck to anyone with a preemie Baby! My baby wasn't premature but he was in the NICU for 2.5 weeks. I have one huge piece of advice for mamas with preemies or babies in the NICU- SKIN TO SKIN. do skin to skin also called "kangaroo care" as often as possible. It is so important and it helps baby so much! Stay hopeful, stay strong , pray often and be by your baby's side as much as possible. Pump, nurse, do skin to skin and kangaroo care often, and sing and talk to your baby while you hold him/her. Ask lots of questions – no question is a stupid one. Take lots of pictures and videos. Join a NICU family support group if your hospital has one, and cry whenever you need to! Get to know your nurses and become friends with them. Count each small milestone as a huge achievement! Before you know it, your baby will be home with you! Don't stress. If you're pregnant and high risk, enjoy every day of your pregnancy. If you're in the nicu, take every day as it comes. They call it a roller coaster ride for a reason. There are ups, and there are downs, but you get to watch your little fighter grow in a way other moms don't. you will walk out of the nicu happy, crying, depressed… Every emotion you can imagine, but it will be an amazing experience. Good or bad, you'll make it out of there a stronger woman. One thing I can say is the NICU will truly show you how strong you are. no matter how many times I cried, no matter how many times I felt like I just couldn’t handle it when i walked up to her incubator I did not show that. never feel like it is your fault. esp ftm.. they have nothing to go off of so they wouldn’t know if you are at risk for preterm labor. My daughter was in the nicu for 48 days. she was born breathing on her own. she was on oxygen for 3 weeks exactly. I stayed in the hospital the entire time. I spent hours with her every single day several times a day. You have to be strong for your baby. Stay on top of every single thing they do with your baby. State your opinion and your concerns. Get to know the nurses and doctors because it will definitely put your mind at ease. Learn your baby, every move, every cry… hold your baby every chance you get. KEEP YOUR EYES OFF OF THE MONITOR LOL. dont get jealous when other babies go home instead be happy for that family because your discharge day will come. preemies are the strongest babies because they have to fight from day one. 16. Fight for your baby! The best thing I heard when my daughter was 6 weeks early was "fight for her" make sure you know everything that is being done for your baby. I got lucky and Ally didn't have to go to the NICU but for moms with L.O in the NICU stay strong! you can do it!! Are you a strong preemie mom? Connect with moms like you to share stories, vent about anything and find lifelong friends. Download the free mom.life app now.